ISO, .bin, .img, .daa, .dmg etc. are image file extensions and normally you can’t open these files without any additional software. There are many software for reading image files, most famous one are Nero, Power ISO and Alcohol. 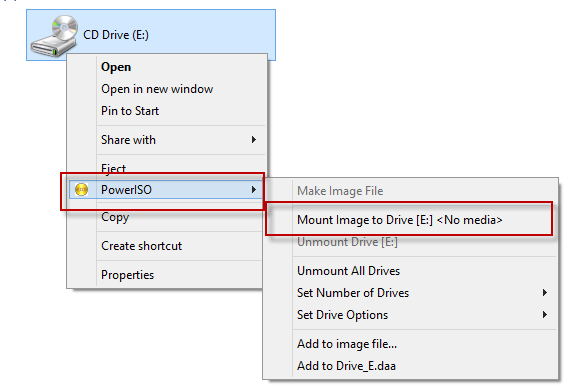 Today I will show you how to open .iso and other image using Power ISO on windows 8 or on windows 7, also you can install Power ISO on XP. This is really easy, download Power ISO from internet. Just search in Google and you will find a download link easily. After download install and reboot your system. After reboot you will find the logical or virtual DVD drive in My computer. 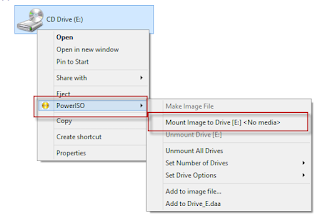 Right click on virtual drive and click on Power ISO\ Mount image to drive. Then browser your required image file for example .iso, .img, .bin etc. Power ISO will open the image file in this virtual DVD, also you can open the multiple image files by increasing the number of drives from set Number of Drives option. When I start using GNS3-0.8.3.1-Standalone-64-bit on windows 8 64bit, I got the error “failed to determine version of Dynamips”. After long troubleshooting I am able to resolve this issue. I don’t know exactly why dynamips giving this message but from error wording it seems like that it is because of gns3 compatibly issue with windows 8. Anyway you can follow the below steps for resolving this issue. 1. While troubleshooting with Dynamips.exe I notice that some .Dll files are missing on windows 8 in order to start Gns3 on windows 8. These are “Packet.dll” and “wpcap.dll” I copies these two files from my windows 7 machine to windows 8 and then test dynamips again and I got the positive result with message “Dynamips 0.2.8-RC3 successfully started “. You can download and copy these to files to C:\Windows\SysWOW64 on windows 8. If you have a windows 7 installed then you can also copy these two Dll files from same above location and can paste these into Windows 8. 2. Hope this will resolve your issue if not then you add gns3.exe and dynamips.exe to firewall allow applications from firewall setting and test again. 3. Also try to run gns3.exe and dynamips.exe in windows 7 compatibility mode from properties\ compatibility tab. Please share your experience if your issue is resolved also if you have same issue with dynamips then feel free to ask any question. · Download “GNS3-0.8.3.1-Standalone-64-bit” from GNS3 official website www.gns3.net/download/ for your Windows 8 64bit edition. · This download file is a zip folder you can easy extract this by “winrar” to any location on your PC. · Open the extracted folder and click on GNS3.exe to start using the GNS3. 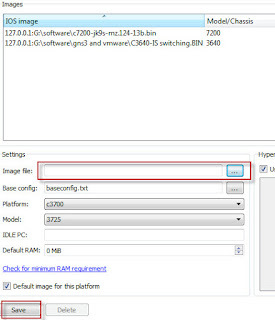 You need the same GNS3 configuration steps that you need on Windows 7 or other earlier versions of Microsoft. You may get error of dynamips “failed to determine version of Dynamips” for solution you can following the link. 2. For using Gns3 on Windows 8 and you also need some define some IOS for Routers, you can set the IOS in gns3 from IOS and hypervisors console. 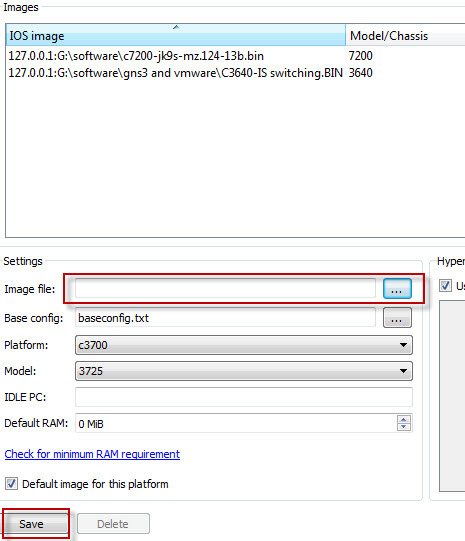 You can find this menu from “edit\ IOS and hypervisors console” and define IOS for GNS3 by browsing IOS file. Once you have done above steps, GNS3 is ready for creating and simulating different labs. I have tested some simple Gns3 labs on Windows 8 and GNS3 works fine for me. Please share your experience of using GNS3 on Windows 8.